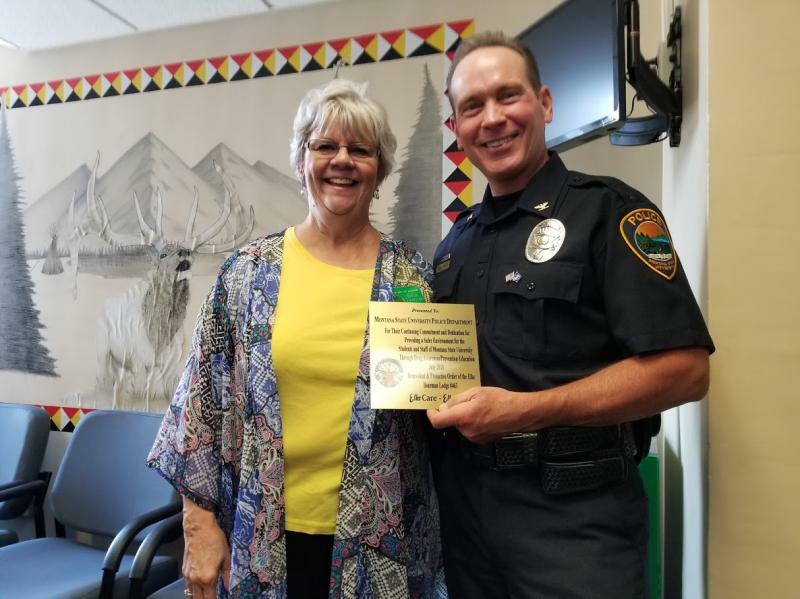 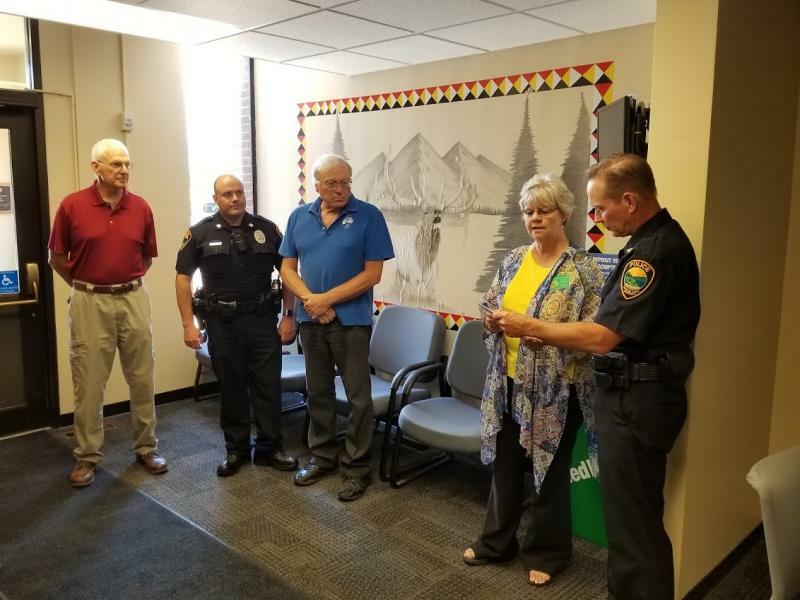 Brass Plaque Presentation to Frank Parrish Jr. Director & Chief, Montana State University Police Department, by Bozeman Elks Lodge #463. 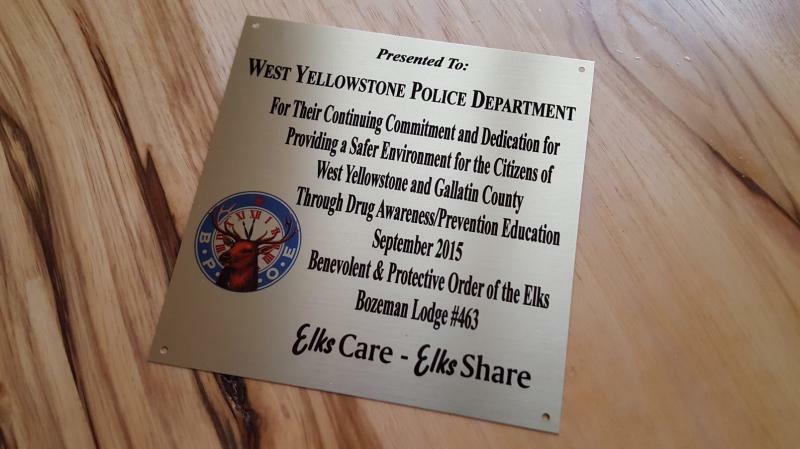 The mission of the Elks Drug Awareness Program is to promote constructive and cooperative approaches to the prevention of the use of illicit substances by the youth of the United States of America. 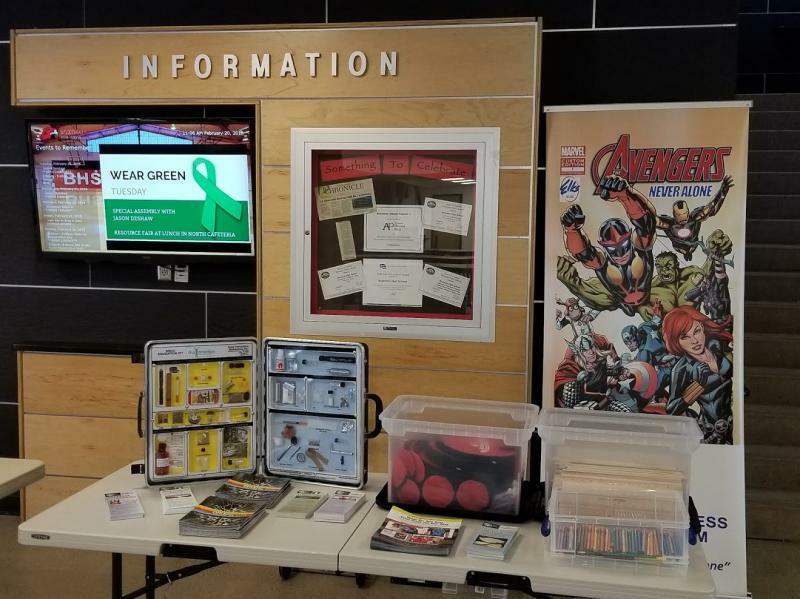 This is accomplished through education of students and parents, and by assisting scholastic institutions with programs and materials.